Will Virtual Reality Change the Design World? hile hundreds of tech firms are broadening their virtual (and augmented) reality footprints—think Google’s omnipotent Street View and Facebook’s recent unveiling of an Oculus Half Dome headset prototype—the truth is that the VR landscape is still quite virtual in practice, especially within interior design and architecture. However, that may soon change, depending on how quickly the technology can become friendlier for users. Take The Future Perfect’s brief foray into VR last May. At the time, the Brooklyn-based design gallery was exhibiting glass works from Seattle artist John Wogan at its Casa Perfect pop-up inside a 1957 David Hyun villa in the West Hollywood Hills. 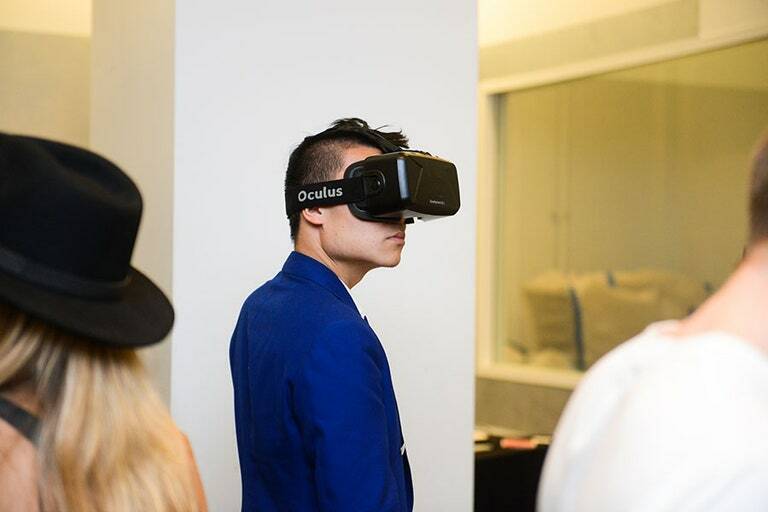 The setting was an ideal backdrop for the showroom’s virtual reality debut—a platform the brand culled from a series of images of the L.A. space, which were shot at incremental angles with a DSLR camera, then stitched together with an app called 360 Photos that allows remote users to egress these photo-derived spaces in a semi-seamless manner via VR headset. 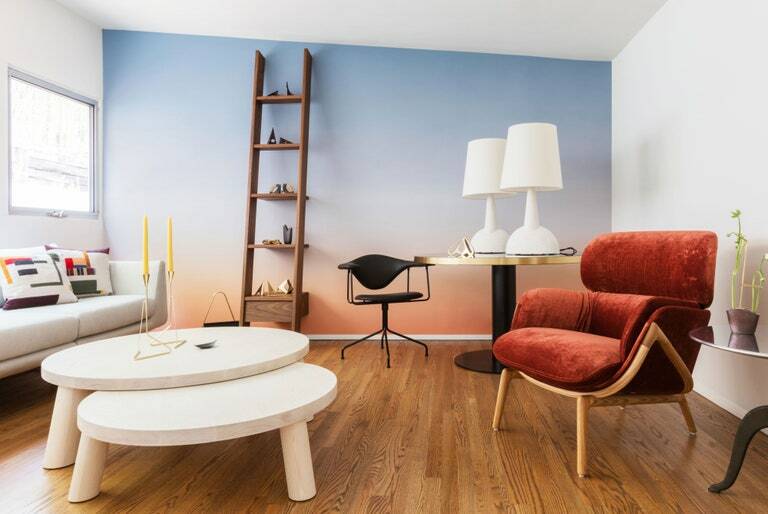 The platform gave TFP’s New York clients—at least the ones who didn’t succumb to motion sickness—an immersive experience of the works amidst Lindsey Adelman light fixtures, Lisa Eisner accents, lacquered tables by Hagit Pincovici, and those iconic Tinseltown sunsets. The Future Perfect’s Los Angeles store. While the setup for the Future Project experience was easy—Aldaheff’s team used a Google Pixel Daydream phone for headsets with Google Cardboard viewers—he says the physical experience is more of a “novelty” trick than a game changer. And that trick doesn’t always come with a treat. Renowned design critic and former MAD Museum director Glenn Adamson seemed similarly nonplussed by, if optimistic about, the use of VR in the Diller, Scofidio & Renfro–designed Pierre Chareau exhibition at the Jewish Museum last year. In a review of the show he wrote that it was “extremely satisfying” that visitors could make 360-degree explorations of interiors digitally reconstructed with Chareau furniture. However, he also labeled the experience “a little eerie,” noting that “while the shadowy projections encountered earlier in the exhibition successfully evoke the Art Deco period (they recall black and white films), VR cannot help but feel futuristic, more 2025 than 1925.” He also noted that the VR platform got in the way of the actual Chareau furniture. 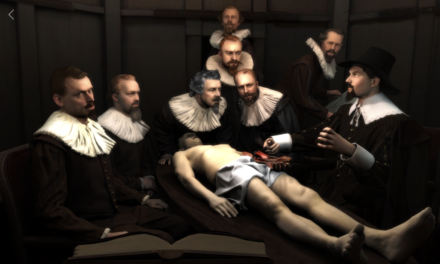 But what if VR is just the tool for designing those museums? When designing the forthcoming London outpost of the Stockholm-based contemporary photography museum Fotografiska, the Swedish architecture firm Guise happily eschewed 2-D renderings for a series of complex VR simulations (with help from the computer graphics program Autodesk 3ds Max, the top producers of virtual textures at Quixel, and in-house technicians from Epic Games) to create a nearly photographic experience of their glass, galvanized metal, and terrazzo building, whose materiality is meant to reference the history of the medium itself. 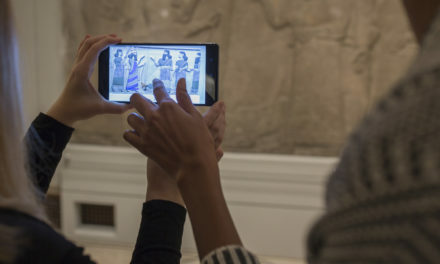 As the debate around the virtues of tech creep in museological experience rages on, customer satisfaction (and the bottom line) remains paramount in design showrooms. At least that’s the feeling you get from the San Francisco–based showroom Italydesign, which launched its “brick and video” technology in January. The B&V tech allows customers from anywhere in the world to interact with its Italian designers via the Zoom screen sharing platform on a smartphone, tablet, or computer. Italydesign has seven hi-def (1080 dpi) cameras installed throughout its 5,500-square-foot showroom; though the experience is not wholly immersive, viewers get a pretty comprehensive look at the space, which is filled with Missoni Home products (bedding, rugs, pillows), Murano glass vases and expandable tables from Reflex, and the architect-designed garden furniture from Unopiù, for which they plan to open a mono-brand store in Northern California that will also feature the same Zoom setup. 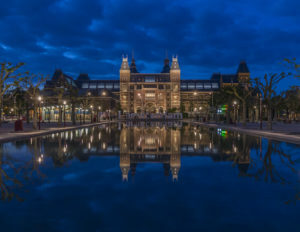 Like Alhadeff, Hamar thinks it’s more effective—at least for the time being—for clients to experience the store “as it is” rather than placed inside an augmented or virtual landscape. “I think brick and video is the future of how sales may happen because you can have a retail store and the internet experience,” says Hamar, who says the technology has attracted clients who actually drive from Reno to visit his store and has brought sales from as far afield as Washington, D.C. “I don’t know if virtual reality would be the right technology because it distorts the perspective. Here you see exactly what you’re getting and you get a personal interaction in the process. Placing a chair in the IKEA Place app. A chandelier shown in Chairish’s “View in My Space” feature. Though it might seem like anathema in the age of Amazon Prime to suggest this, it’s worth noting that many architects, designers, and clients still like to touch, feel, and experience the furniture, fabrics, and building materials they intend to use in the spaces they’re creating. While VR is probably more suited to the concerns of those who welcome the inevitable singularity, AR (or augmented reality)—the technology that allows you to add kitten ears on your Snapchat selfies and has directed Pokémon GO players into oncoming traffic—may be more practical in the near term. 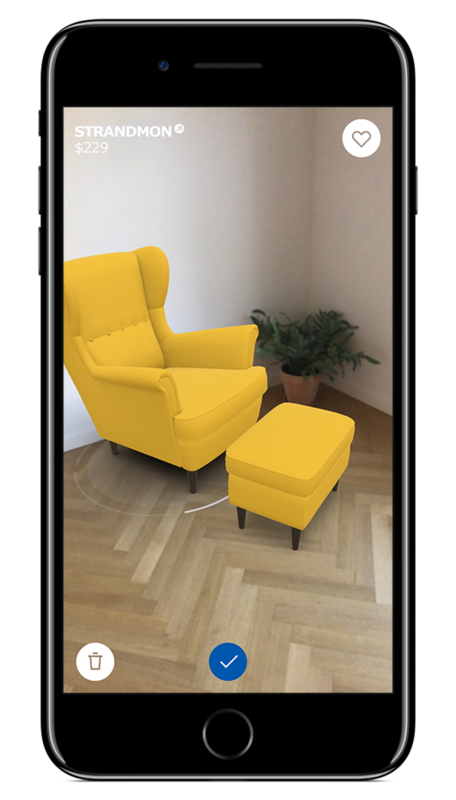 Last September, IKEA launched its IKEA Place AR app (with support from Apple’s ARKit) to allow customers to visualize Landskrona sectionals and Ypperlig armchairs in their homes. 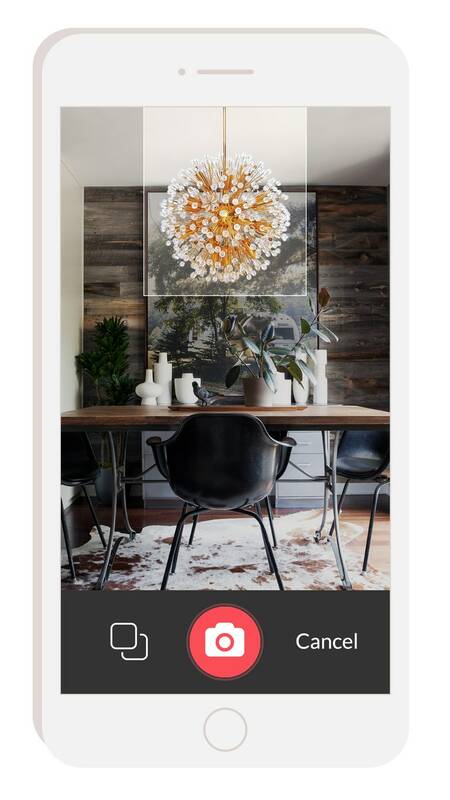 The app lets users overlay photos of furniture inside the viewfinder of their camera screen, previewing how it will look in their space. E-commerce retailers Wayfair, Chairish, and Decaso have similar applications. 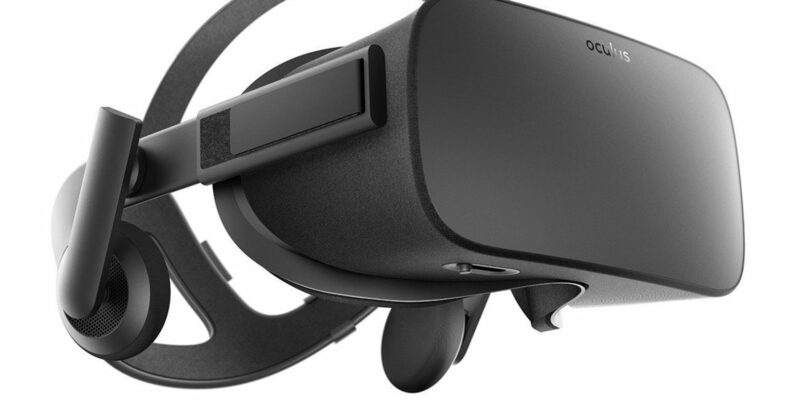 “When you talk to people operating in this field you hear many of them say that they believe AR and VR will become one, meaning there will be no distinction between the two,” Jen says. That assumption, though, glosses over their biggest difference: While VR is a “blackout” of the entire outside world, AR blends the two—or, as Jen says, “opens the blinds.” Though it might seem like a small distinction, it’s not that easy to travel between the two. “There are still a lot of issues—working with human physiology, working with the eyes, working with cognition—that need to be resolved,” says Jen. Until then, Black Mirror’s beloved “The Entire History of You” episode, which Robert Downey, Jr. is supposedly developing for the big screen, may have to suffice. 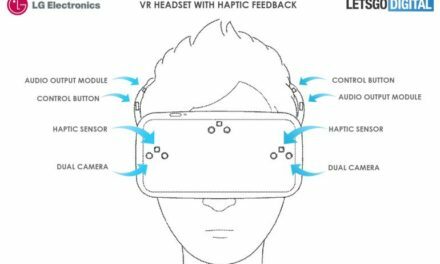 Hand tracking built directly into the headset.